Toonari News & Media is a for-profit news media social enterprise start up committed to political and economic democracy. 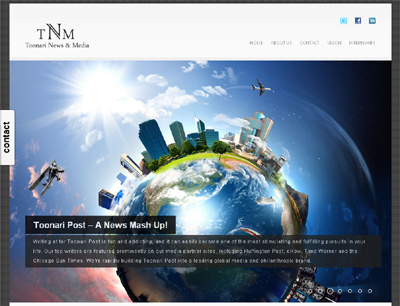 Toonari News & Media is dedicated to reporting the news with the highest journalistic standards; to informing and analyzing movements for social, environmental and economic justice; and to providing an accessible forum for debate about the policies that shape future generations through our American based online news website Toonari Post (www.toonaripost.com). We are the first Social Enterprise in the News Media Industry.